San Antonio, TX – The fourth annual Healthy Flavors, Healthy Kids national leadership summit was opened yesterday by Janey Thorton, PhD, SNS, deputy under secretary food, nutrition and consumer services for the USDA; and Katie Wilson, PhD, SNS, executive director of the National School Foodservice Management Institute. In her opening remarks, Dr. Thorton encouraged the audience to spread the news about everything they will learn at the conference. "Your voices can have such an impact on other school districts that are trying, but they need you, as cheerleaders, to urge them on," she said. "I've no doubt that your experiences will help them realize that the changes being implemented are not only doable—they're what's best for kids!" 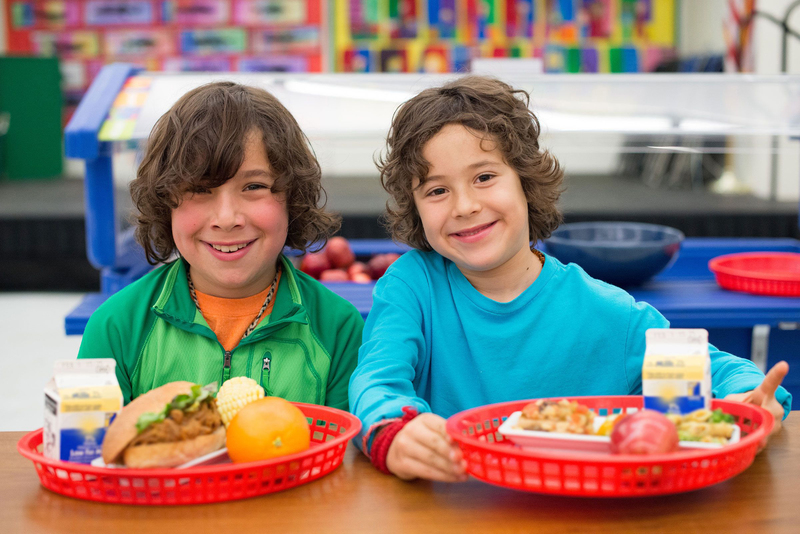 CIA Healthy Kids is an initiative conceived and organized by The Culinary Institute of America (CIA) to promote healthy, flavorful foods for K-12 students across the country. The annual Healthy Flavors, Healthy Kids summit is one of many on-going outreach components and is overseen by a ten-member National School Foodservice Advisory Council, co-chaired by Dr. Thornton and Dr. Wilson. This year, more than 120 foodservice leaders, including directors and chefs from 27 states, have gathered to review standards, discuss challenges, and share strategies. The attendees represent one of the largest school districts in the country, Los Angeles Unified School District; one of the smallest, Viroqua, WI; and every size in between. Among the 30 guest chefs and presenters were Jehangir Mehta, Iron Chef contestant and New York chef; Dr. Ines Anchondo, who discussed how children's eating habits develop; and Kate Hoy from Cornell University, who outlined strategies from the Smarter Lunch Rooms movement. "The power of the summit is that it brings together school nutrition leaders not only to share insights, trends, and best practices," said Dr. Wilson, "but also to discuss their challenges and work together to find solutions." To help make that power last throughout the year, Sanna Delmonico, MS, RDN, senior manager of culinary nutrition, and the children's nutrition expert at the CIA, announced a new website, CIAHealthyKids.com, that will act as a forum for information and exchange. "We get incredible feedback and support from attendees and presenters," said Ms. Delmonico. "To serve them better, we've created this site so the information, ideas, strategies, and insights discussed at the conference can be reinforced and strengthened all year long and to a broader audience." There is also a Facebook page, CIA Healthy Kids, to encourage comments and sharing. The new site includes presentations from the annual conference, links to relevant articles, a quarterly blog post from the CIA and other expert advisors, videos to demonstrate culinary techniques or ingredient information, and a searchable database of recipes that schools can use to help make their meal planning easier. Recipes from 2014 are being taste-tested by a panel of six middle- and high-school students, and although not all of the recipes on the site will have the same scrutiny, one of the main focuses of the CIA Healthy Kids initiative is to promote healthy eating habits—with food that students actually like. "The student taste-test panel is a critical component for success," says Amy Myrdal Miller, MS, RDN, senior director of programs and culinary nutrition at the CIA. "The students are not only evaluating the flavor, texture, and appearance of the new menus items; they're also giving their feedback on the names and whether or not they'd be likely to select these items if offered at their schools." This database is currently filled with recipes from the summit and other CIA sources. In the future, many more "schoolified" recipes from celebrity guest chefs, school chefs from around the country who want to share their greatest successes, and nutrition experts will be added. All of them will be presented in standard school foodservice formatting, include nutrition information and school lunch program crediting. Design and maintenance of the CIAHealthyKids.com website was made possible by a grant from the Joseph DeAlessandro Foundation that focuses on children's health and wellness programs. Founded in 1946, The Culinary Institute of America is an independent, not-for-profit college offering associate and bachelor's degrees with majors in culinary arts, baking and pastry arts, and culinary science, as well as certificate programs in culinary arts and wine and beverage studies. As the world's premier culinary college, the CIA provides thought leadership in the areas of health & wellness, sustainability, and world cuisines & cultures through research and conferences. The CIA has a network of 45,000 alumni that includes industry leaders such as Grant Achatz, Anthony Bourdain, Cat Cora, Steve Ells, Charlie Palmer, and Roy Yamaguchi. The college has campuses in Hyde Park, NY; St. Helena, CA; San Antonio, TX; and Singapore.